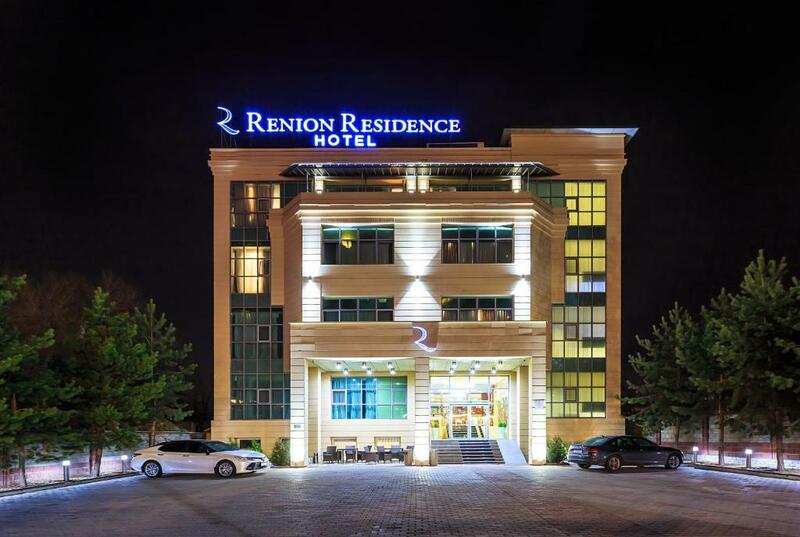 Lock in a great price for Renion Residence Hotel – rated 9.2 by recent guests! 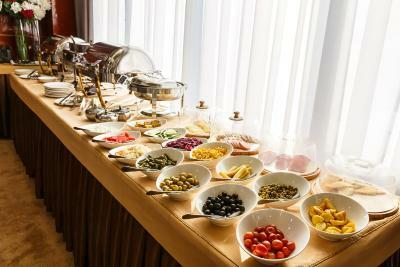 The breakfast was great with lot's of variety and good flavours. the location was central to parks and tourist spots. 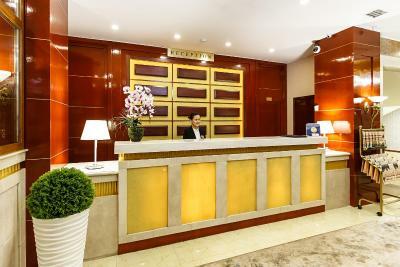 Property is in the heart of location where all night life near by, The receptionist Ms. Anesthetisa is really wonderful and helpful, staff behaviour is so kind, restaurant food were nice and reasonably. Rooms were clean and big. Overall everything is perfect. Would like to stay again. I was expecting a big room but it turned out it was a very nice apartment. The staff was very helpful and considerate. I would definitely go back. Staff, admosphere and the cleaniness of the hotel. 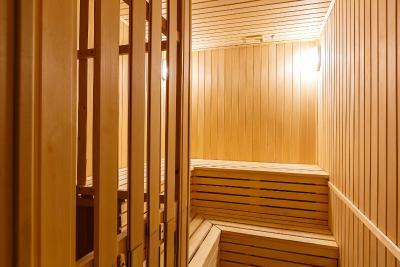 Incredible value for money, location is in the city but still quiet, very very helpful staff. This place is a gem. I liked everything about this hotel, particularly the warm and friendly staff. Anastasia and the other front desk staff were always ready to help guests and go out of there way to make my stay more comfortable. Even though there was some construction going on at the hotel during my stay, there was minimum disruption to the guests. The staff was helpful. Big and clean room. Supermarket nearby. Our hotel room had a full kitchen, which is pretty useful. 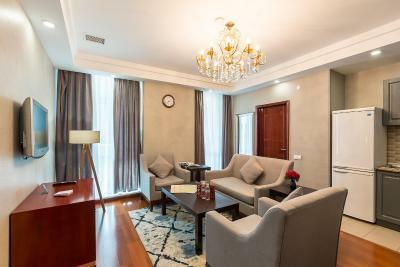 Renion Residence Hotel This rating is a reflection of how the property compares to the industry standard when it comes to price, facilities and services available. It's based on a self-evaluation by the property. Use this rating to help choose your stay! 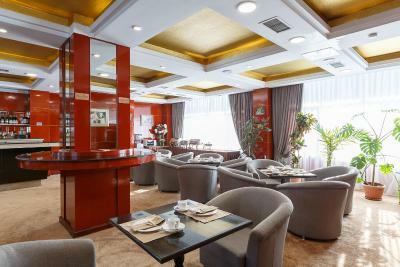 One of our top picks in Almaty.Centrally located in Almaty, this hotel offers free Wi-Fi. 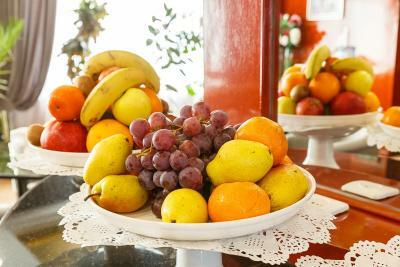 Regional specialties are served in the restaurant, and each room features a fully equipped kitchen. The bright rooms at Renion Residence feature wooden floors, and have a spacious seating area with a flat-screen TV. 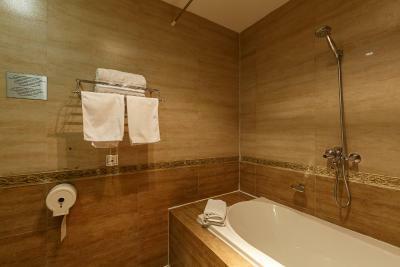 Toiletries, bathrobes and a hairdryer are provided in the private bathroom. 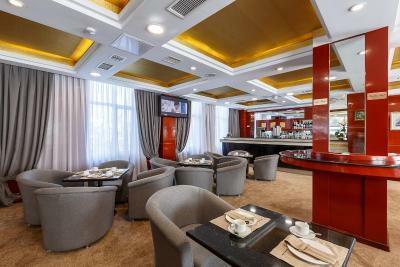 Decorated in warm colors, the Renion restaurant serves European and traditional cuisine. 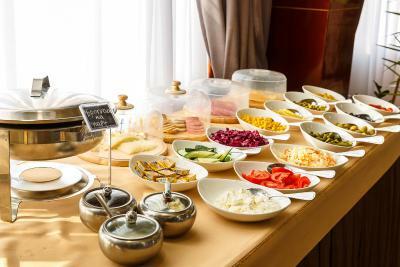 A buffet breakfast is provided each morning. Ascension Cathedral and Gvardeytsev Panfilovtsev Park are a 10-minute walk from the hotel. 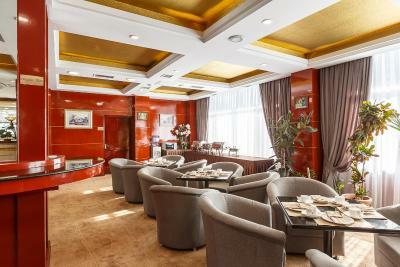 Zhibek Zholy Metro Station is a 15-minute walk away, and Almaty Train Station is a 10-minute drive from the hotel. 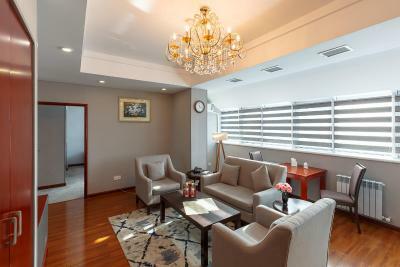 The 24-hour reception can organize a shuttle service to Almaty Airport, a 15-minute drive away. 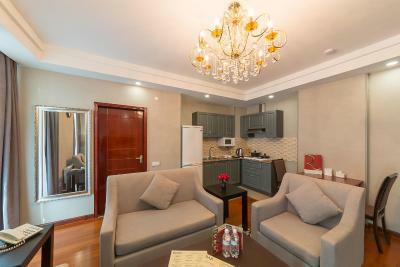 This property is also rated for the best value in Almaty! Guests are getting more for their money when compared to other properties in this city. 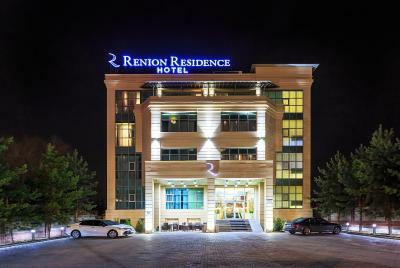 When would you like to stay at Renion Residence Hotel? 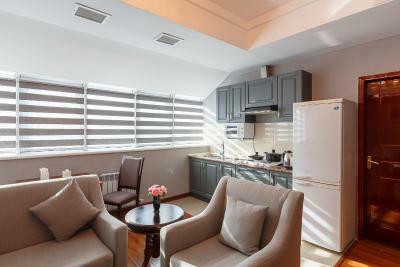 Bright room featuring a seating area with a flat-screen TV, and a fully equipped kitchen. 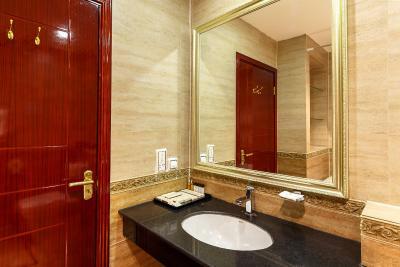 Bathrobes, slippers, and toiletries are provided in the private bathroom. 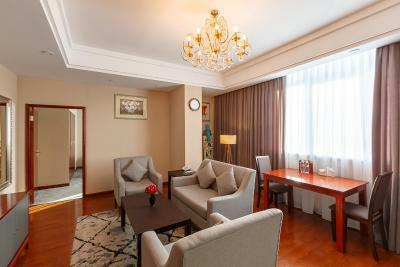 This spacious room also offers a dressing room, and large windows. 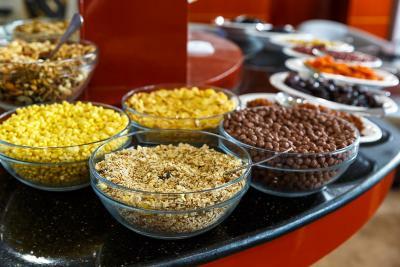 House Rules Renion Residence Hotel takes special requests – add in the next step! Renion Residence Hotel accepts these cards and reserves the right to temporarily hold an amount prior to arrival. 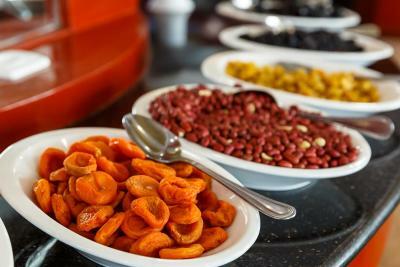 The display during Buffet breakfast is only written in the local language. Hospitality of the staff. Eagerness to assist. 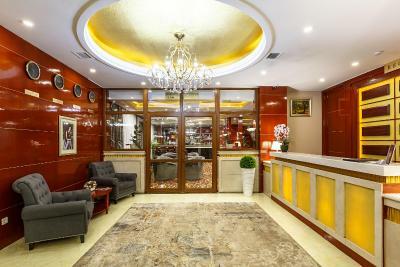 A nice hotel in the city center. Relatively close to all interesting places in the city. Recommended. Breakfast is wonderful. Hotel is located right across a supermarket and restaurants are all around. 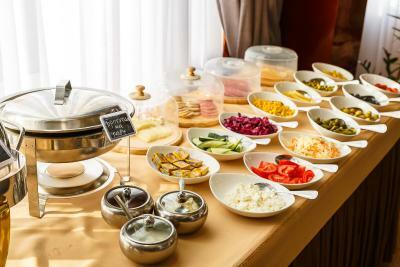 Breakfast had many things, but quality was low, with cold boiled eggs like from fridge and etc. I would prefer fewer things but better quality, which was missing. The place was spacious, good location. The access into hotel is not wheelchair friendly or pram friendly. The ramp is too steep for taking a stroller or pram up. Breakfasts were not amazing. I would strongly recommend looking at improving this aspect. 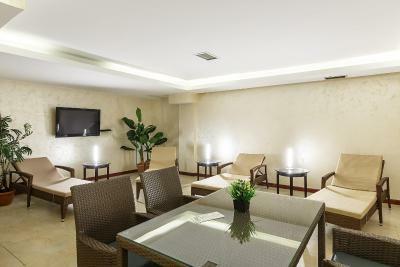 Good location, very spacious apartment style rooms. Staff are incredibly helpful and friendly. 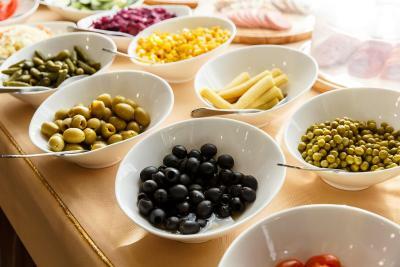 Room service is great. Nice staff. Spacious room. Courteous staff. Good breakfast. 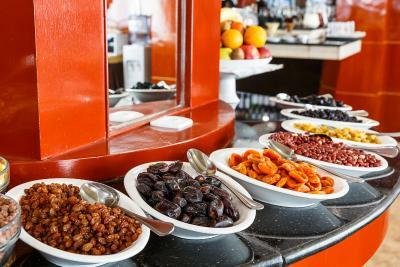 Staff told that items in breakfast were halal. 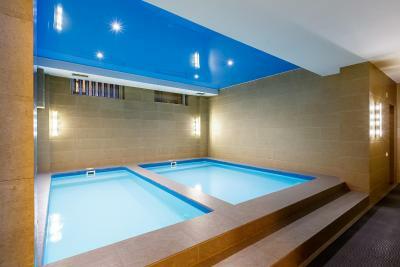 Nice small swimming pool and sauna facility. Best ratio of quality and price. Good location. Very friendly staff. The TV stations were mostly in Russian. Only one English speaking TV station. The apartment was very spacious and the bed very comfy. Great find for our short stay in Almaty. 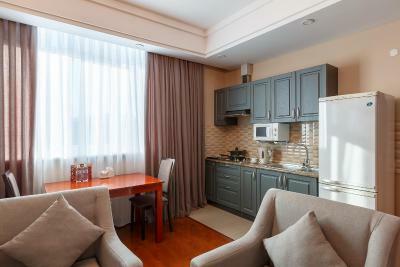 Spacious clean apartment, everything in good working order and condition there. Nice responsive staff. 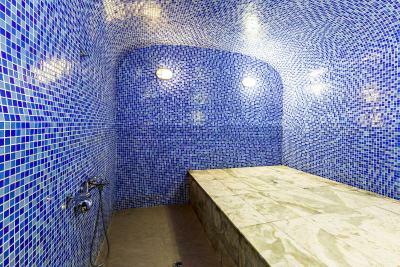 Good set of amenities, including a spa. A great package for the money.